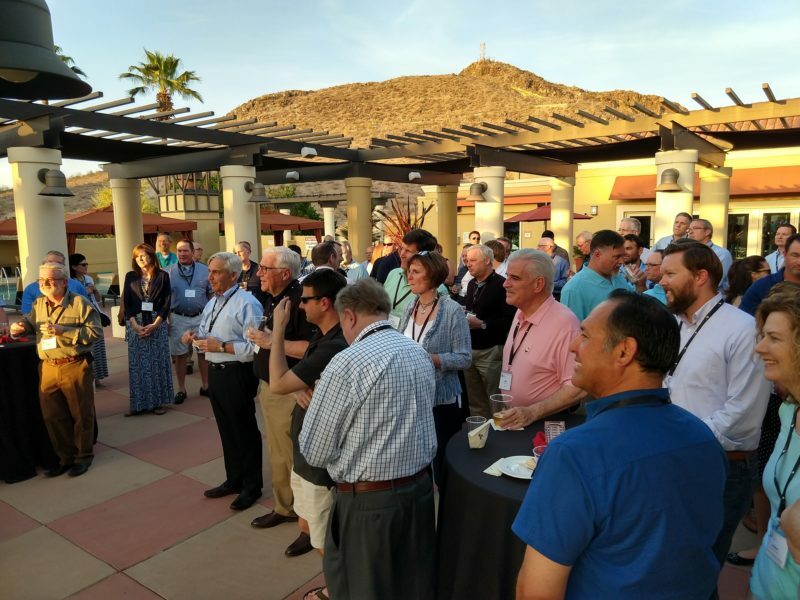 HARRISBURG, Pa. – The National Frozen & Refrigerated Foods Association (NFRA) will hold its 26th annual Executive Conference April 9-11, 2018, at the Tempe Mission Palms Hotel & Conference Center in Tempe, Ariz. The conference provides the latest information on consumer and industry trends and features a retail presentation by Nick Carlino, vice president of sales and retail for Merchants Distributors, Inc. The conference opens at 12:00 p.m. on Monday, April 9 with the optional Greater Penguin Open Golf Tournament or NFRA Fishing Tournament followed by the evening’s welcome reception. Tuesday, April 10 presents an impressive line-up of interactive speaker presentations, as well as a networking reception. On Wednesday, April 11, the conference concludes by 9:00 a.m. after breakfast and a final informational session. The retailer keynote by Nick Carlino, Merchants Distributors, kicks off the Tuesday morning sessions followed by David Portalatin of The NPD Group on a new report on the Eating Patterns of America. Colin Stewart of Acosta Sales & Marketing will share what drives shoppers’ frozen and refrigerated foods purchase. Jim Hertel of Inmar will look at promotion optimization and personalization of the shopper experience. Kristena Luckey of Edelman will discuss the next group of influential shoppers, Gen Z. Laurie Rains of Nielsen will look at the digitally engaged shopper, and Michael Sansolo on behalf of the Coca-Cola Retailing Research Council will examine fast-moving trends affecting the retail food industry. The conference closes early on Wednesday when Michael Sansolo returns to help attendees assess their own company and identify key areas of action. To preserve the informal atmosphere that encourages group discussion and more personal interaction, the conference is limited to 150 attendees. You can register today on the conference website at www.NFRAExecutiveConference.org.